Permits that require additional documentation such as Engineer's letters, Soils Reports or Plans (non structural) will be added to the permit record as an attachment that is made viewable to the public. If you do not find the information please submit an open records request to the City Clerk's Office. Go to arvadapermits.org and login. 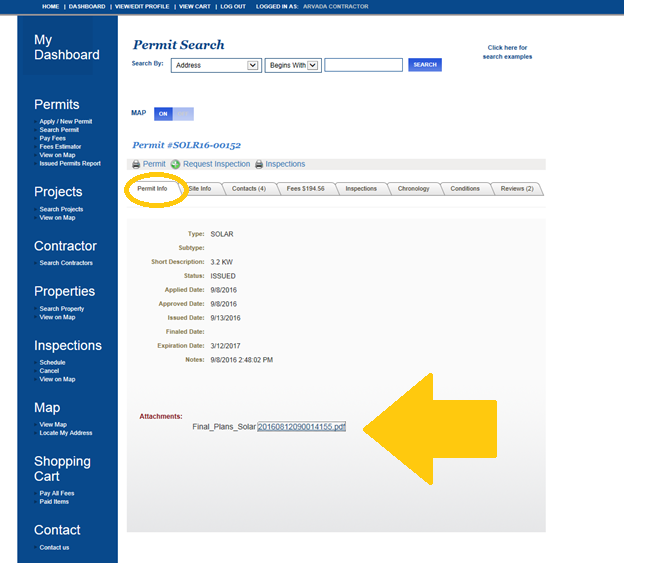 If you are a contractor login with your AEC number and password. If you are not a contractor login using a public login. From the user dashboard select the permit or the project number that you are reviewing attachments. You can also search for the permit or project if it is no longer an active permit. 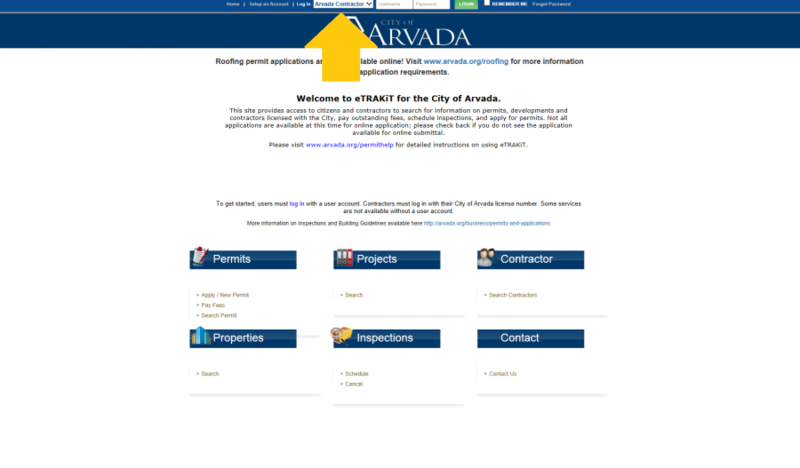 Click on the blue permit or project number to select the permit. You are now reviewing the permit or project information. 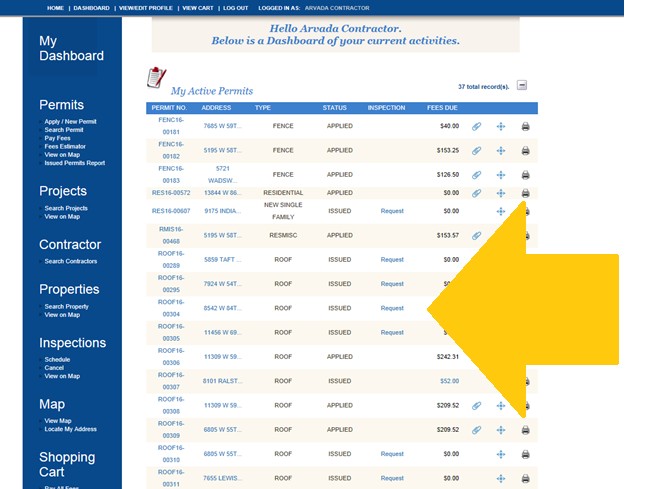 Each tab houses information about address, contacts, fees, reviews and inspections. To review attachments make sure you are on the tab labeled "Permit Info". Look at the bottom of the window for "Attachments" all available attachments will show with a link. Click on the link to view the attachment.